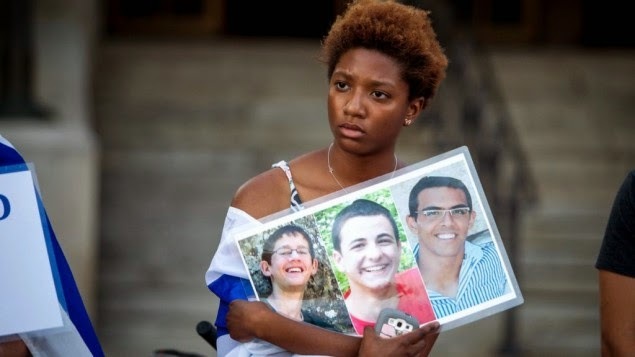 In a recent post by Greg at Rhymes With Right, he contrasted the reactions of the Israeli citizens as they absorbed the reality of the murder of three teens with the reactions of the Palestinians as they rioted in response to the murder of one teen and the beating of another. While I wholeheartedly agree with Greg’s assessment, I would like to add a number of observations. According to the Times of Israel, Hamas terrorists Amer Abu Aysha and Marwan Kawasme thought that they were only picking up Eyal Yifrach. Only intending to kidnap one victim, Aysha and Kawasme were surprised when three teenagers jumped into the vehicle. Then one of the teens, recognizing that they had not boarded an Israeli car, called the police at 10:25 and whispered “We’ve been kidnapped.” Military radio reported that the three were executed during the phone call. Investigators found blood, bullet cases, and personal belongings of the murderers in the car. The Miami Herald reports that a gag order prevents the sharing of details of how six Israeli youths may be involved in the burning of one Palestinian youth. 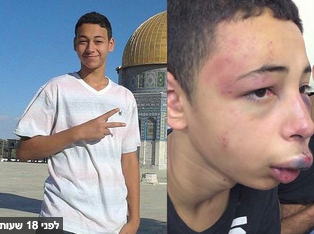 However, BBC News reports that Floridian Tariq Khdair is accused of belonging to a group of youths that attacked Israeli police. Cell phone video shows two masked Israeli police punching him in the head. Tariq’s family disputes his involvement in attacks against police. Additionally, Haaretz reports that Tariq resisted arrest, attacked officers, and was carrying a slingshot for lobbing stones when he was arrested. On the Israeli side, there had been vigils for the three teens, the capture and prosecution of six suspects in the Palestinian’s murder, and some soul searching. This soul searching was evidenced by articles in the Jewish Journal, Haaretz, Israel Today, and other outlets. On the Palestinian side, the response on the streets to the deaths of three teenaged boys included celebrating in the streets, posting social media messages, and handing out candy and food. Several sources even report that Palestinian Authority Arabs threw rocks at the ambulance transporting the bodies of the three teens. No arrests or visible attempt to search for the murderers of the three Jewish teens has been undertaken by the Palestinian Authority. Note that I would have normally included links to the Christian Science Monitor article that I quoted in the paragraph above; however, this reprehensible article was removed from the site while I was preparing the Bible-study portion of this article. Luckily, the kind folks at HonestReporting.com not only reported on the bigoted reporting that I had observed from the Christian Science Monitor, but also the slanted reporting of CNN and Sky News. Christians should note that the natural (1 Corinthians 2:14) inclination for people would have us commit inhumane acts (since it was common to exact hyperbolic retribution before Exodus 21:23-24) and hold hatred (1 John 4:20); therefore, because the two groups involved neither profess Christianity nor deviate from the natural, we cannot expect either the Israelis or Palestinians to start adhering to Christian principals.